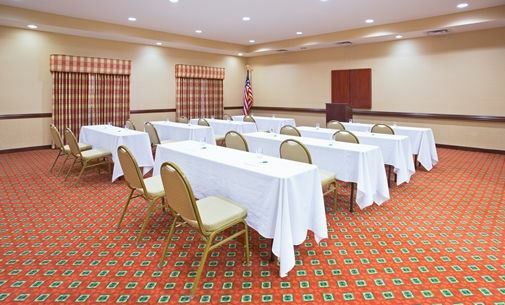 For a casual home-like atmosphere, hold your small meeting or event at our Yuma venue. Invite as many as 100 people to gather for your business event, seminar or family reunion. We offer amenities like a state-of-the-art sound system, wired and wireless internet access, adjustable lighting, and more to help make your event memorable. Rely on the professional support team at Homewood Suites by Hilton Yuma to ensure your gathering runs smoothly and efficiently. Our meeting package includes internet access, a morning or afternoon break, a flip chart and notepads with pencils as well as coffee, tea and water service.